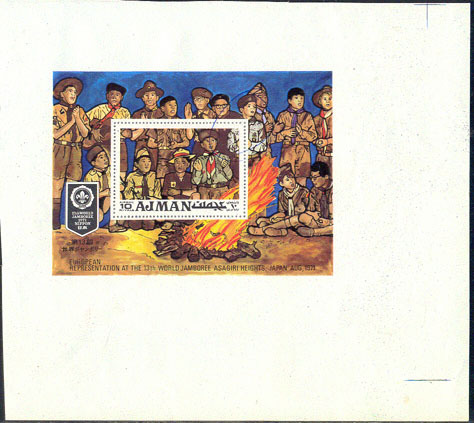 2268 EP AJMAN (1971) Scouts*. Imperforate proof from the printer's archives of 10R S/S, with huge margins and pen corrections circled in ink. 13th Jamboree Asagiri Heights, Japan. Michel No 924. Some slight wrinkling.